We are officially now only one week away from the Licensing Awards 2017! Time sure has flown by since last year! The Licensing Awards have really become accolades to strive for – their integrity is unquestioned as an endorsement of excellence. On Tuesday 12th September, 1400+ licensors, licensees and retailers are expected to attend the awards evening, all hoping to scoop up one of the iconic L.A. trophies. There are 25 awards up for grabs which recognise outstanding achievement right across the Licensing industry. The majority of these awards focus on retail and property categories, with a few additions dedicated to identifying the Licensing industry’s rising star and best MARCOMs campaign. PowerStation Studios would like to wish the best of luck to all of the finalists at The Licensing Awards 2017! The full list of the 2017 finalists can be found here. 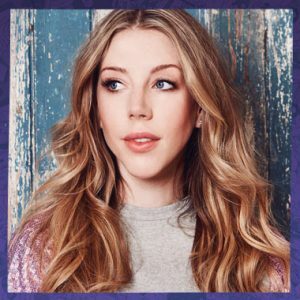 To make this year’s illustrious night of celebrations even more entertaining, the highly popular and hilarious comedian Katherine Ryan is confirmed to host the UK Licensing Awards ceremony 2017. Katherine is a regular on leading panel shows, including Live At The Apollo, Would I Lie to You?, A League of Their Own and 8 Out of 10 Cats Does Countdown. …Fortunately, here at PowerStation, we’ve got you covered! 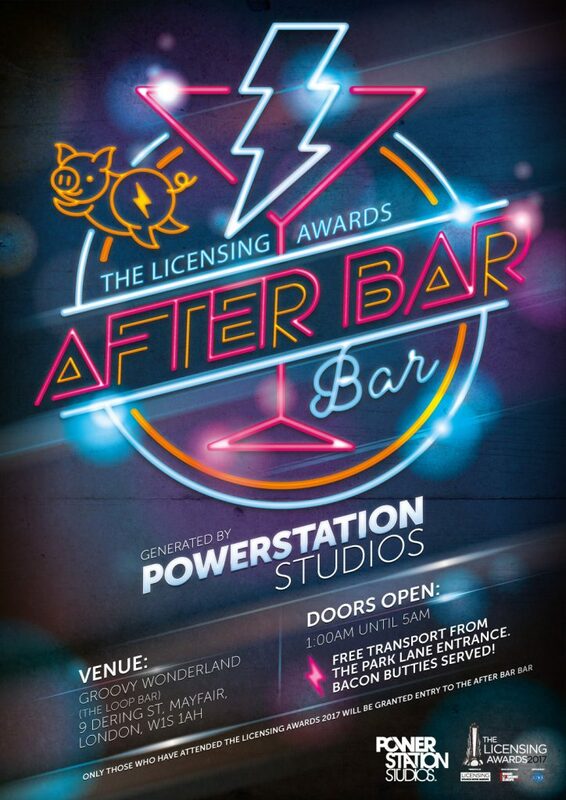 For the first time in history and in official partnership with the Licensing Awards 2017, PowerStation Studios are proud to present to you the official After bar bar! Open to all those who’ve attended the awards, The After Bar Bar will be held at Groovy Wonderland in Mayfair. Doors open at 1am and the party continues through until 5am (at which point there will be a survivor’s photo, for the ultimate bragging rights…). Free transportation will be provided from the Grosvenor House Hotel, so look out for our branded Taxi’s. In addition (and to supply you with that extra energy needed to pull some wild shapes), bacon butties will also be provided. Come and party like only the Licensing Industry can – We look forward to seeing you at this exclusive night of fun, which will no doubt go down in the history books! Can you make it until the end?